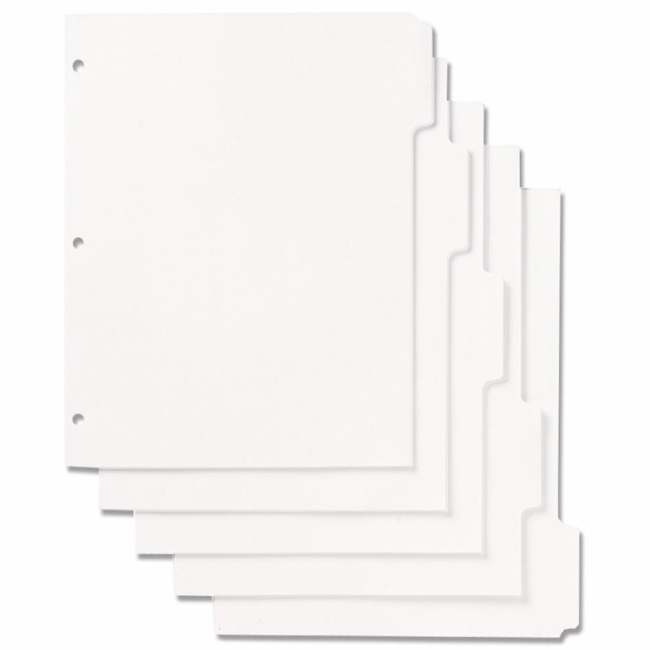 Index sheet set is three-hole punched for immediate use in three-ring binders. Ledger stock is ideal for binders, catalogs, books and journals. 32 lb. letter-size dividers have 1/5-cut tabs. 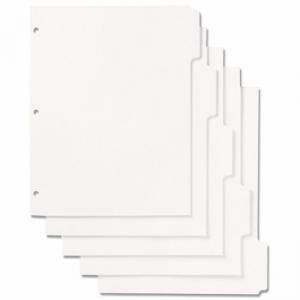 Index divider sheets contain 30 percent post-consumer recycled material and 50 percent recovered material. Divider sheets meet CPG Guidelines and Executive Orders 13423 and 13514.